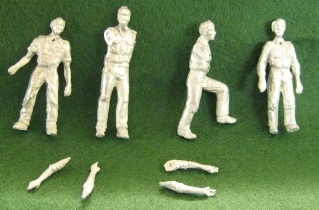 These figures are from our modern Range but can be painted to represent boiler suits. WWII Figures. Wearing duffel jackets, tin hats, and sea boots. WWII Figures wearing Oil skins. WWII Figures wearing Tropical Dress. Water Tight Doors Merchant Type. Wooden Door Set for Motor Mine Sweeper.